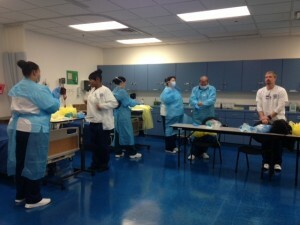 Fundamentals of nursing students were exposed for the first time to the simulation lab. 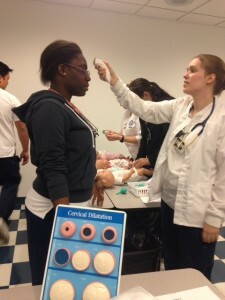 Students had to assess vital signs and listen to different lung and heart sounds. The students were taken aback by how realistic the mannequins are and they look forward to coming back. 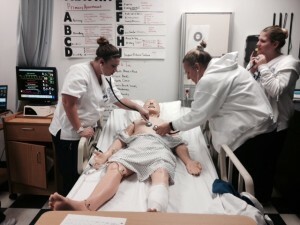 Students are being exposed to simulations on a weekly basis. Instructors at the Melbourne camps run simulations that deal with every topic and scenario possible. 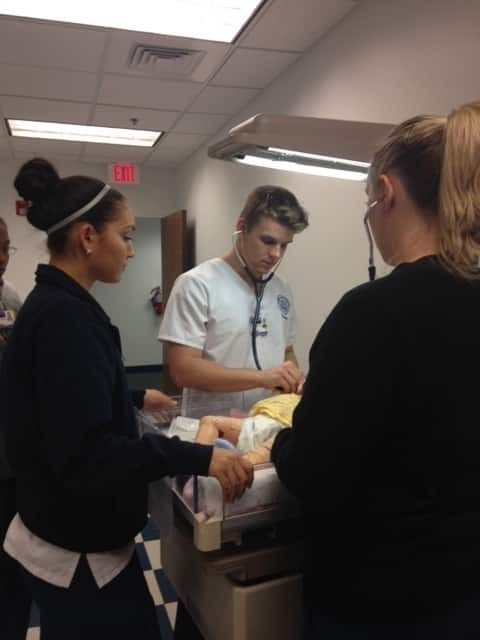 These simulations include labor and delivery complications, code blue, trauma, medication administration, etc. 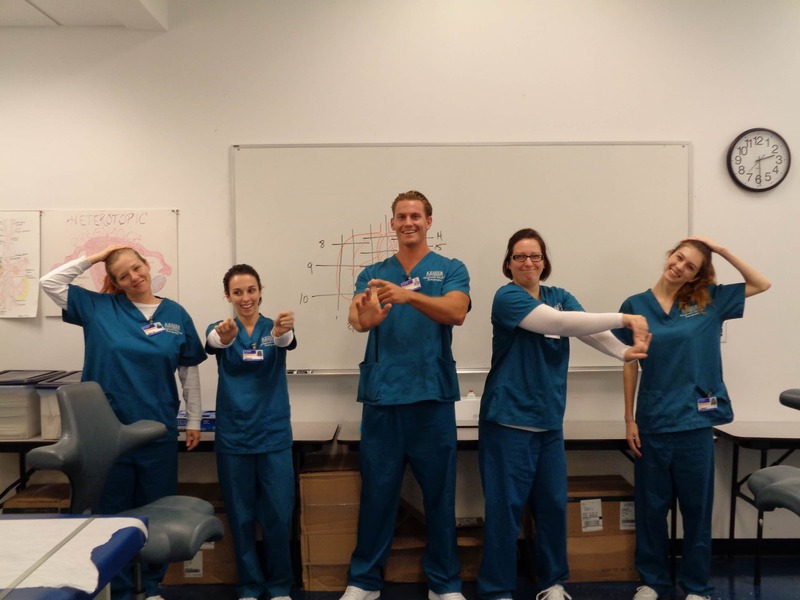 The brand new Diagnostic Medical Sonography students in the Introduction to DMS class practiced their ergonomic exercises in order to prevent workplace injury. Nursing students in an obstetrics class attend a simulation where they are taught how to properly assess newborns. 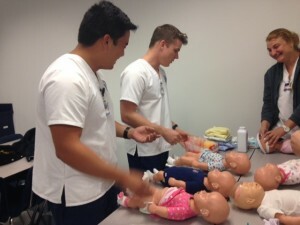 They learned simple tasks like changing a dirty diaper, swaddling, feeding, burping, head to toe assessments, etc. Students had different stations where they had scenarios from measuring head circumferences to measuring a laboring woman’s cervix. 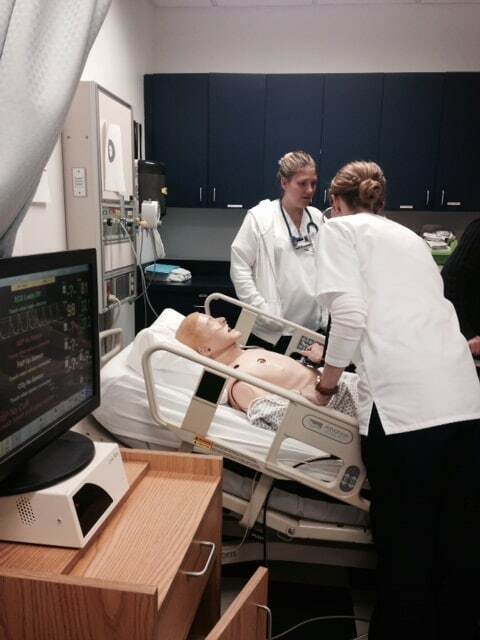 The high tech mannequins provided them a life-like experience with heart rates, blood pressure, breathing, and even taking and crying. 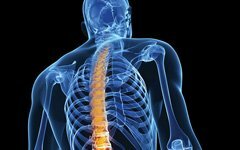 Students from rradiologic technology, collaborate with the nursing department to learn the necessary skills to protect themselves and their patients from contagious diseases. 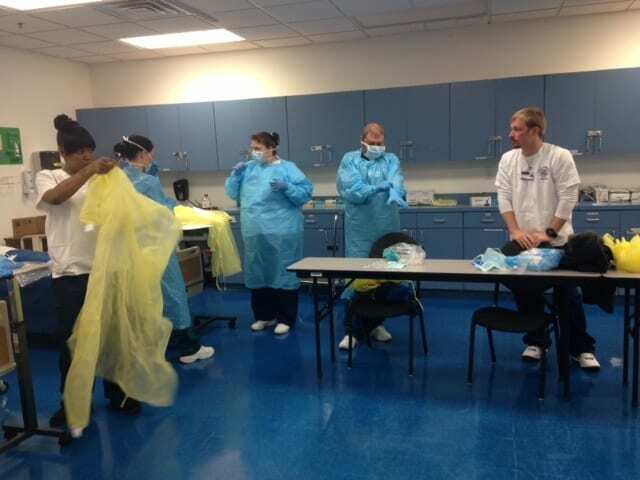 Students also learned how to put on sterile gloves and open sterile fields which is a skill and technique that they must develop.